I made this quilt for my older daughter as she headed off to college. She wanted something bold for her dorm room and this dragon seemed perfect. 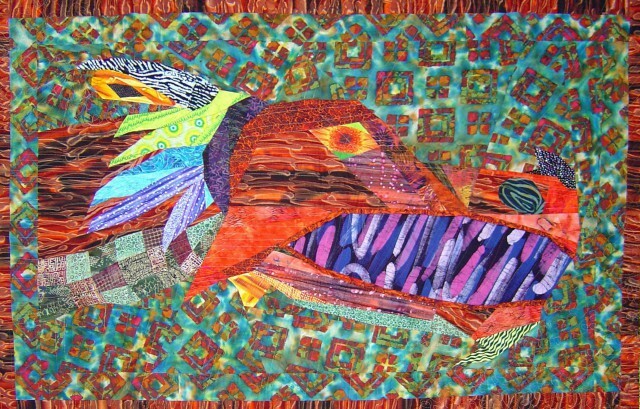 The quilt began with the fabric in the mouth of the dragon. The pink, white and blue fabric that looked like dragon teeth to me, fussy cut to capture the curved white front tooth. Rather than breath red flames, a red dragon seemed right….. Copyright © 2019 Ann Shaw Quilting. All rights reserved.